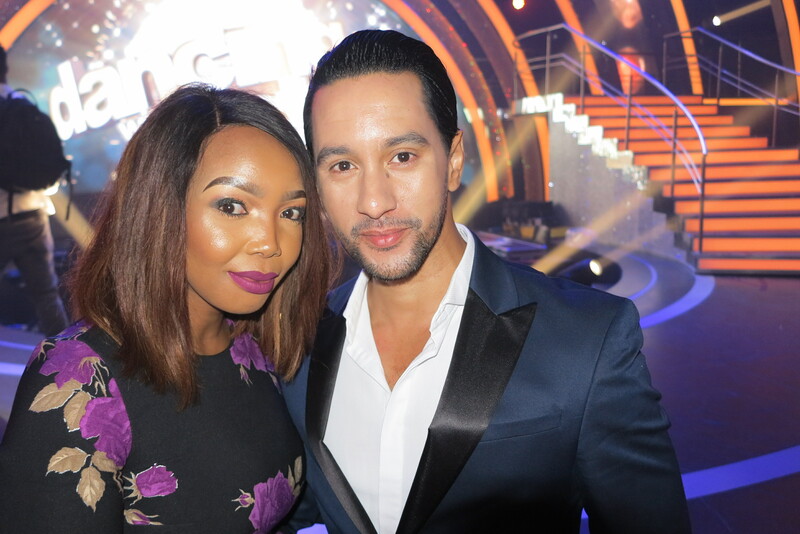 Over the past couple of weeks, M-Net revealed the names of the 12 celebs who will be hitting the gleaming dance floor on the dazzling new reality show Dancing With The Stars SA which kicks off on M-Net 101 on Sunday 4 February at 17:00. 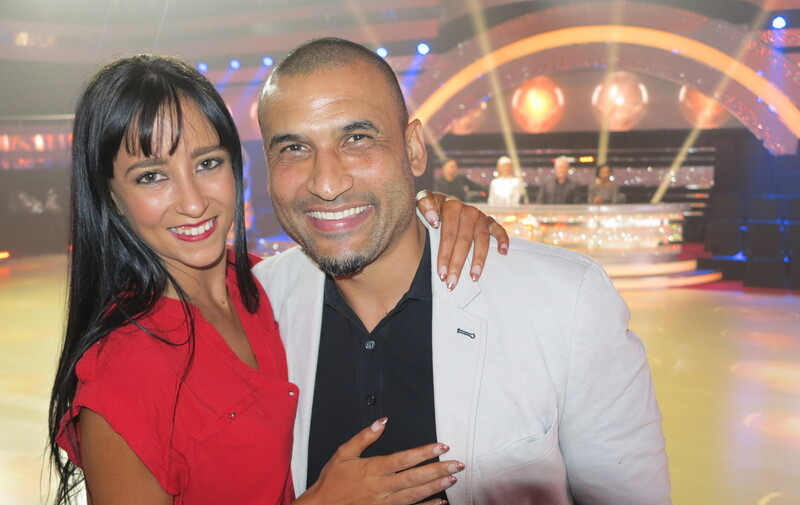 Now, meet the magnificent professional dancers who will teach them all the Latin and Ballroom moves as they swing – tango and samba – their way into the hearts of the voting public. Funny Funny man Ebenhaezer Dibakwane, a South African comedian and actor who rose to fame after winning the Newcomer Award at the Savanna Comic’s Choice Awards in 2016 will be paired up with Nombulelo Hlathi. Nombulelo Hlathi was born into a dancing family, with her dance champion sister inspiring her to embark on a career in the field. 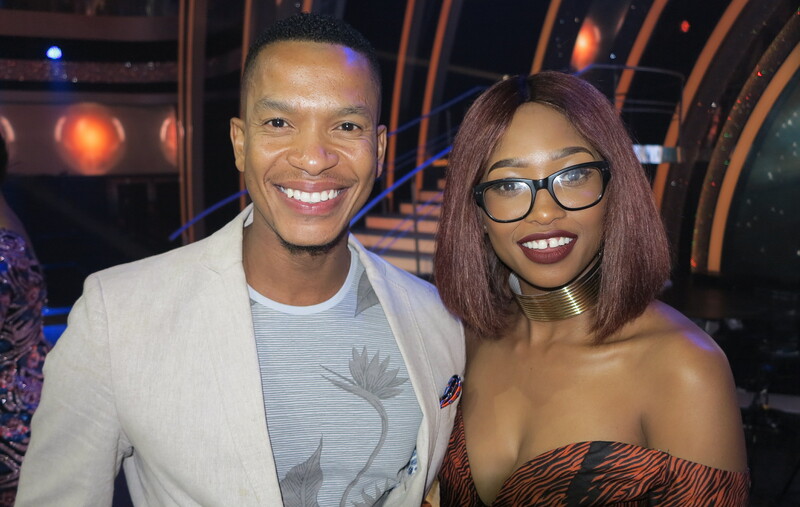 Nombulelo competes around the world, dancing in countries like England and Russia and has appeared on Strictly Come Dancing SA. She has turned her focus to teaching and is eager to bring her coaching skills to her Dancing with the Stars SA partnership. Netball Star Vanes-Mari Du Toit, who is a member of the South African National Netball team and has an impressive 38 caps for South Africa under her belt, will be paired up with Johannes Radebe. Johannes Radebe got his start in dance at the age of 7 in his hometown of Zamdela in Sasolburg. With provincial colors for Gauteng, Johannes reached the finals of national dance competitions and was invited to compete internationally in St. Petersburg, Russia. Johannes continues to dance internationally, landing a position on the Italian cruise liner, Costa, where he went on to choreograph routines and became the ship’s Dance Captain. 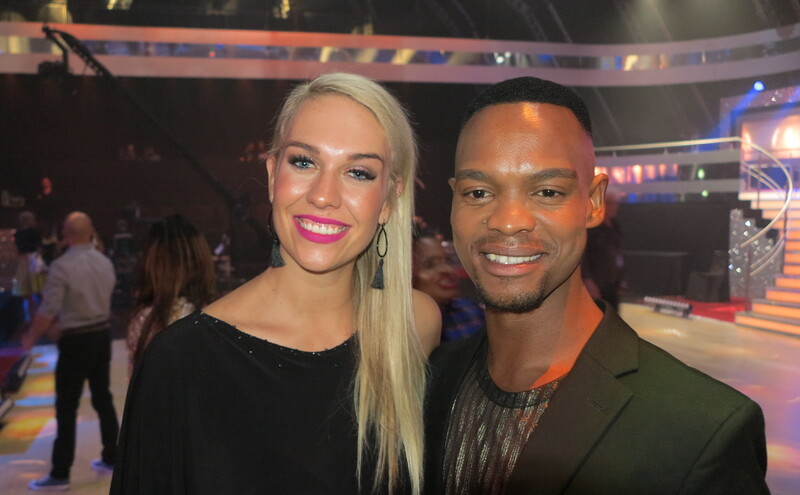 Upon his return to South Africa, Johannes appeared on Strictly Come Dancing SA, taking his celebrity partners to the finals during his two seasons on the show. Since then, Johannes and his dance partner won the South African Professional Latin Championships in 2014 and he has toured the world with global dance spectacular, Burn the Floor. Mzansi’s best TV presenter, former Our Perfect Wedding host, actress and DJ Thembisa Mdoda, who is currently also showing off her acting skills on Unmarried on 1 Magic will be paired up with Devon Snell. Devon Snell has been dancing for almost two decades, specialising in Ballroom and Latin dance. 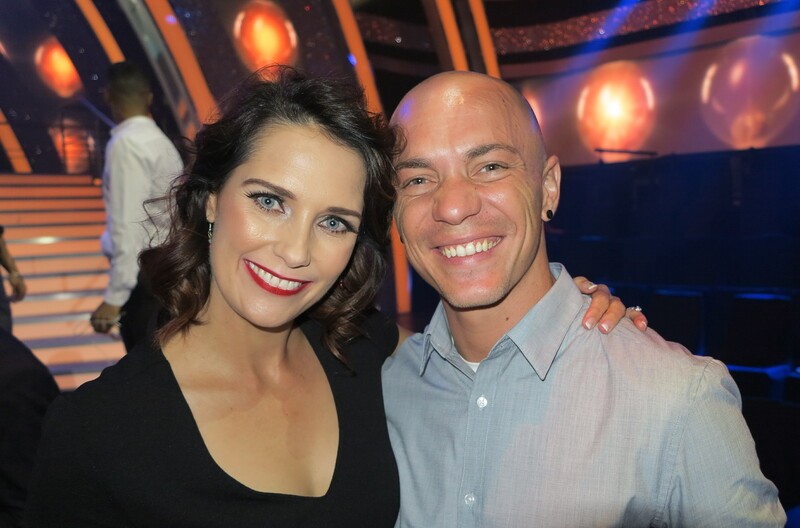 Devin represented South Africa at the World Dance Council Championships in China, where he and his partner came in sixth place in the world for Ballroom dance. 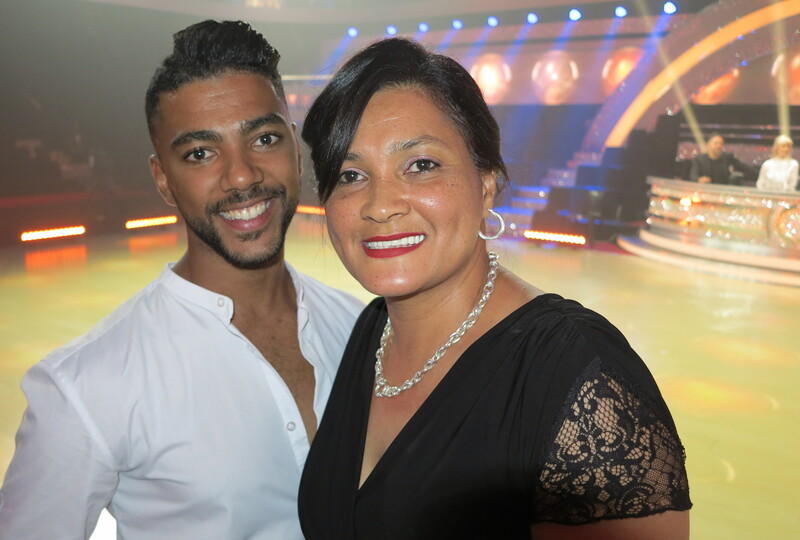 Devon appeared on and won kykNET’s Die Laaste Waltz and was featured at Ballroom showcase, Shall We Dance for four years. The natural competitor is ready to put his best foot forward and hopes to take his partner all the way to glory. Veteran South African actor Frank Opperman, who turned a slow-witted but smart-mouthed car mechanic called Ouboet into a darling South African icon and created an array of unforgettable, colourful characters throughout his illustrious career will be paired up with Jeanné Swarts. Beginning her dance career at the age of 3, Johannesburg-born Jeanné Swart is an accomplished dancer and teacher in the fields of Acrobatics, Tap and Modern dance. With several South African titles to her name, Jeanné represented the country twice at the World Tap Championships in Germany. As an accomplished choreographer, Jeanné has conceptualised and choreographed for a number of shows, such as the Soccer World Cup, Telkom’s GCEO Awards and Vodacom’s CEO Awards. She has danced for Miss Portugal 2016, Investec Bank and Big Brother Africa’s opening show. In her spare time, Jeanné participates in worthy causes that include Dance for a Cure Foundation, Dancers for Dogs and Breast Cancer awareness month for Revlon. Actress and performer, Juanita De Villiers, best known for her theatre work and acting roles in movies such as Knysna, Somer Son, Die Pro, Willie Esterhuizen’s Droomdag, Die Ontwaking and kykNET’s new movie, Hartsorg will be paired up with Johan Dippenaar. Originally from the coastal town of Walvis Bay in Namibia, Johan Dippenaar grew up in Pretoria, where he started Latin and Ballroom dance at the age of 14. Only beginning his formal classical training at the age of 19, Johan went on to earn his National Diploma in Dance from TUT. Since then, he has performed with numerous professional dance companies, including Mzanzi Productions and the Tshwane Dance Theatre. He has worked with local and international choreographers, such as Timothy le Roux, Celeste Botha, Andile Sotiya and Debbie Rakusin. Johan also landed the lead role in French choreographer, Rheda Benteifour’s production of Redha’s Giselle and Crash Dance. Recently, Johan has appeared in local productions such as Classics is Groot and Afrikaans is Groot. 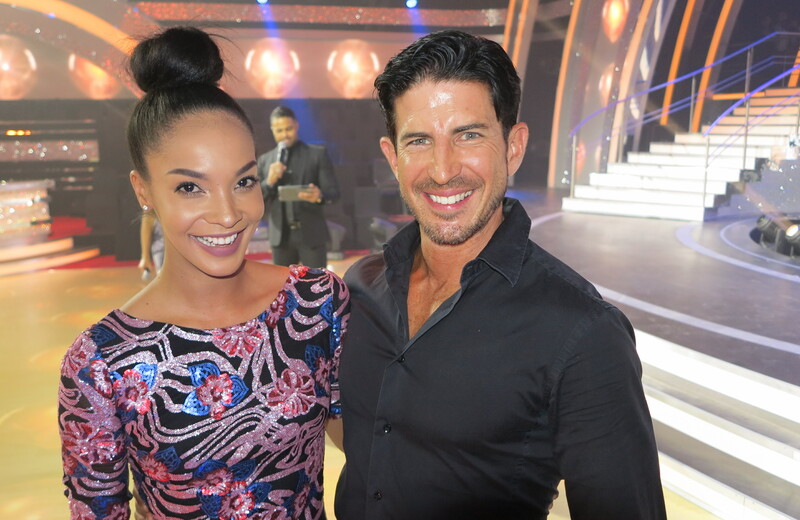 Former Miss SA Liesl Laurie, who is a presenter on popular radio station Jacaranda FM, and is the international brand ambassador of L’Oreal – Vichy Laboratoires in SA, USA and Brazil will be paired up with Ryan Hammond. Ryan Hammond was born into a dancing family and began dancing at 7 years old. He soon started competing in Freestyle and Disco dancing and became the South African champion. 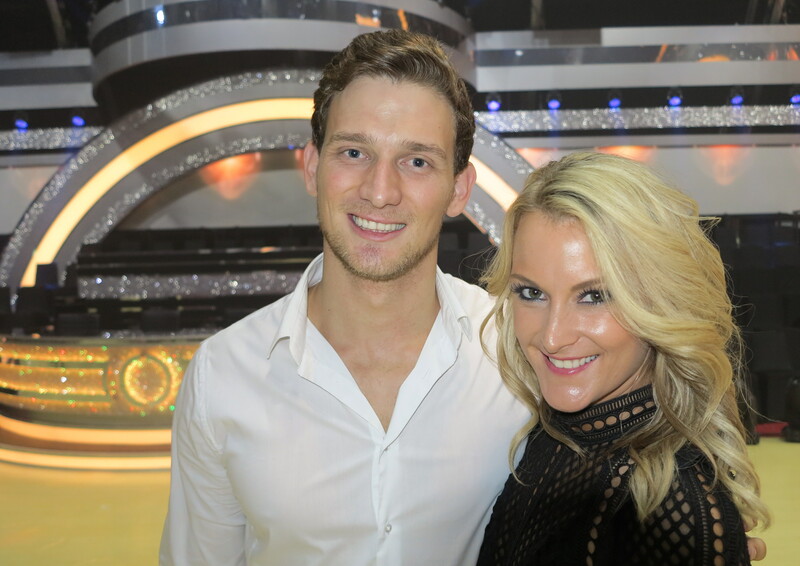 Ryan then shifted focus to Latin American and Ballroom dancing, travelling abroad to train and compete. He turned professional in 2005 and became the 3-time British Show Dance champion. 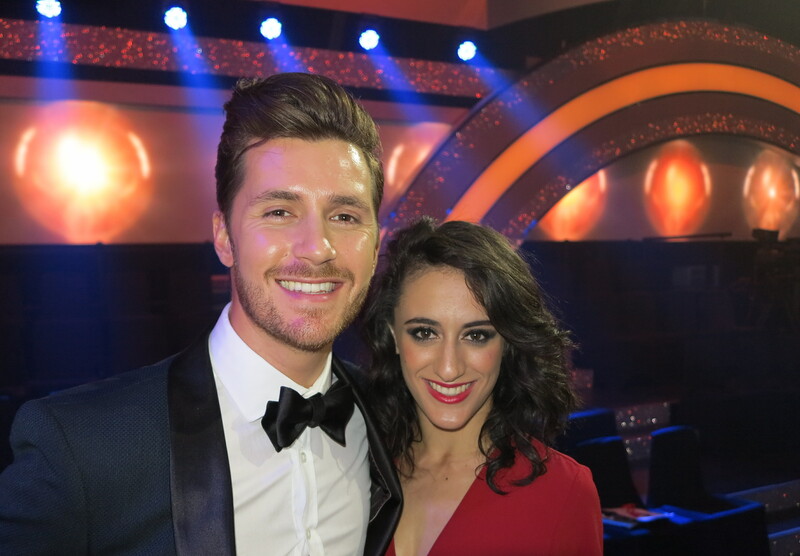 Ryan reached the semi-finals of UK’s Got to Dance and won Strictly Come Dancing SA in 2013. Since then, Ryan has choreographed TV shows and music videos, and toured around the UK with Pascha Kovalev. As a qualified IDTA Freestyle and Latin American instructor and adjudicator, Ryan has competed and performed around South Africa and the UK for years. Wayde Wayde van Niekerk’s mother, Odessa Swarts, who was lauded for lighting up the South African athletics world and broke many sporting records – having competed provincially as a track-and-field athlete in the late 1980s and early 1990s will be paired up with Dylon Daniels. Dylon began dancing at the age of 7 at Richard’s Dance School, after which he moved to a Latin dance school. He has worked with incredible coaches, including DanceSport’s Michael Wentink, becoming involved in the popular Pro/Am category. This field entails a collaboration between a professional and amateur dance partner, where they form a dance partnership and participate together in a dance competition. Dylon will also be bringing his experience as a dance instructor to Dancing With The Stars. He has taught a variety of styles that include Latin, Ballroom and Hip Hop dancing. Film and TV starlet Zola Nombona who won the 2016 Golden Horn Award for best lead actress for her work in the movie Ingoma. Zola is also well known for her roles in several TV series such as Intersexions, Lockdown, iNumber iNumber, and Love Lives Here will be paired up with Tebogo Mashilo. 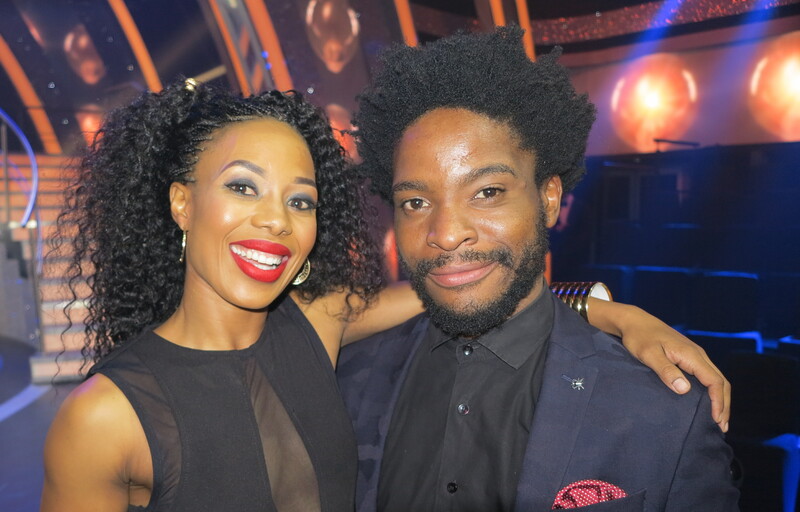 Tebogo Mashilo is a professional Ballroom dancer and choreographer. Tebogo’s achievements include winning the Dance SuperSeries, performing in Sun City’s massive production, Rumba in the Jungle, and representing South Africa in the Dance World Championships in Paris. Outside of dance, Tebogo studied Human & Social Sciences with a focus in Psychology. He will use his insight and understanding of people while crafting meaningful routines for his celebrity partner. Singer-songwriter Connell Cruise, who signed the biggest recording deal in South African music history after being spotted by music legend L.A. Reid will be paired up with Marcello Soliemo. Marcella Solimeo began learning ballet as soon as she learned how to walk. At 8 years old, she moved to Milan in Italy to study Modern Dance and soon after started competing in the style of Latin dance. Marcella won many regional titles and represented South Africa in the Blackpool British Open Dance Festival. She was able to dance in the USA in the much-loved spectacular, Burn the Floor, and reached the top 24 of So You Think You Can Dance SA. Since then, toured around England, Wales and Scotland with Pasha Kovalev and Anya Garnis on their Strictly Come Dancing tour. Marcella spent time dancing on popular local music shows, Afrikaans is Groot, as well as performing as a soloist on Classics is Groot. She was a featured performer at Vodacom’s CEO Awards and, more recently, took on the role of Dance Captain for the Tailormade Group, where she also assisted in choreography. Former Bafana Bafana soccer star Delron Buckley who played in the 1998 and 2002 World Cups and represented SA in the 2000 Sydney Olympic games will be paired up with Angelique Allison. Angelique Allison started dancing at the age of 4 and has had a burning passion for dance ever since. She started competing in Freestyle dance and was later accepted into Pro Arte, a performing arts school, where she studied ballet, Spanish dancing and Jazz. During her dance schooling, Angelique was a company member of the Youth Ballet Company of Tshwane for three years and performed in productions such as The Nutcracker, Sleeping Beauty and as the lead in Coppelia. Angelique received numerous choreographic awards during this period and went on to choreograph for various events and theatre shows for the State Theatre, The Performer and The Atterbury Theatre. She also choreographed and performed at album launches for artists such as Amor Vittone and CH2. Since then, Angelique danced in Sun City’s extravaganza and shifted her focus on training in Latin American and Ballroom dance. Angelique is also a well-rounded fitness instructor, with experience in Pilates, Aerobics and Zumba. Former Springbok Thando Manana, best known for being the third black South African player to don a Springbok jersey. He now spends his time as a rugby commentator, pundit and member of the infamous Room Dividers team on Metro FM will be paired up with Michelle Oppenshaw. Michelle is one of South Africa’s most versatile dancers, having been a national champion in not only Latin American dancing but also in Showdance, Disco, Rock ‘n Roll, Hustle, Freestyle, Hip Hop as well as various street dance styles. Michelle appeared on the big screen as a dancer in Honey 3, and has danced, taught and choreographed both nationally and internationally, including working with local music sensation, Mi Casa. Being the owner and principal instructor of two of South Africa’s renowned dances studios, Michelle has developed her own form of teaching and choreographing using movement and psychology. Her unique approach to dance landed her the position of Head Choreographer for the highly-esteemed event and entertainment company, Frog Productions. She is also Africa’s only elite qualified world judge for the prestigious Hip Hop International Championships. Popular actor and model Eden Classens, who plays the role of Justin in the hit Afrikaans soap Suidooster on kykNET, will be paired up with Ash-Leigh Hunter. Ash-Leigh is one of Australia’s most dynamic and well-trained Ballroom and Latin performers. She began dancing jazz and ballet at the age of 4 and found her passion for Ballroom and Latin dancing at age 7. Ash-Leigh was a Junior Latin British finalist and was crowned Junior British Jive Champion at the Blackpool Championships. She was also an Australian Junior, Youth and Amateur 10 Dance Champion. In 2001, Ash-Leigh joined the world-renowned dance production, Burn the Floor, travelling extensively throughout the world, performing on London’s West End and on Broadway. In 2009, she was a finalist on the Australian reality TV show So You Think You Can Dance. Ash-Leigh has since become a regular professional and grand finalist in Australia’s version of Dancing With The Stars and has also assisted a number of choreographers on BBC’s Strictly Come Dancing in the UK. Ash-Leigh has danced for rock band, Deep Purple, and artists like Pixie Lott, Samantha Jade and John Paul Young, and has also performed in the musical, Priscilla Queen of the Desert. 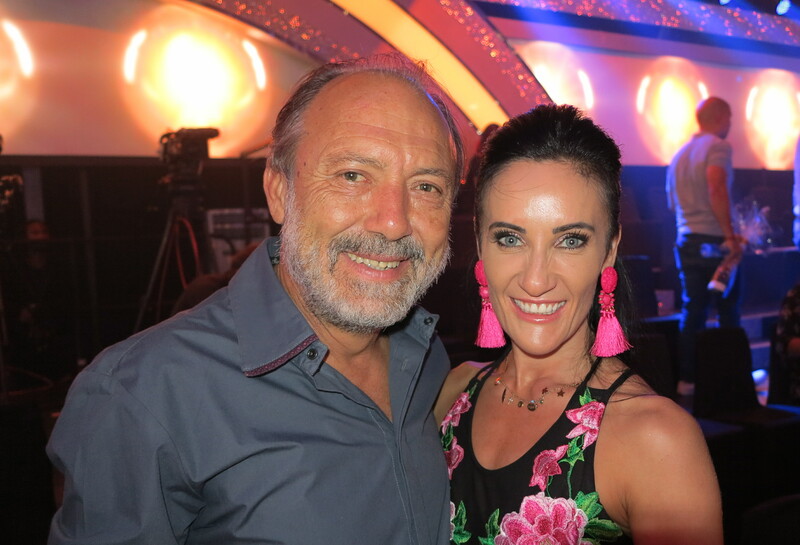 Dancing With The Stars SA, in which 12 untrained local celebrities put their best foot forward with the help of highly skilled professional Latin and Ballroom dancers, will commence on M-Net channel 101 on Sunday 4 February at 17:00.